Approximate location of Sunday evening's carjacking. 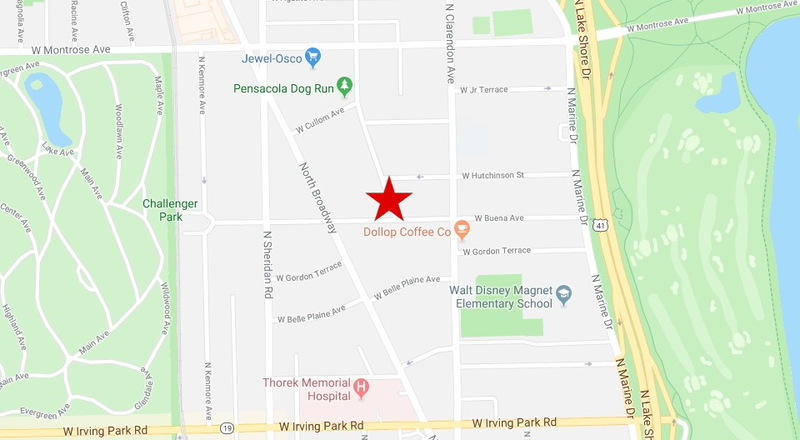 Three carjackers forced a man from his car then sped away with the victim’s vehicle in Uptown on Sunday evening, police said. No one is in custody. It’s the second carjacking in Uptown since Thursday. A little after 7 p.m., a passer-by called 911 after seeing two men stick something into their waistbands as they got out of a Toyota Camry near the 4200 block of North Hazel. The men told their driver to circle the block a few times and the witness lost track of them. Moments later, a man was carjacked of his Hyundai Elantra in the 4200 block of North Hazel. Three men forced their way into the man’s car, and one of the carjackers implied that he had a handgun in his waistband, the victim said. The robbers sped off with the man’s car, and police said that the vehicle was seen near 71st Street and Stony Island less than 20 minutes later. Police said the primary carjackers were three black men in their late teens. One is thin, stands about 5’8” tall, and was wearing black sweats with a stripe on one side and a black long-sleeve t-shirt. The second had a “puffy hairstyle” and was wearing a plain white t-shirt with gray sweats and basketball shorts. The third stands about 5’7” tall and is slender, but no clothing description was available. The three took a white Elantra with a license plate that starts with AN44. Also involved were two accomplices in a gray Toyota Camry with a license plate beginning with AD11. The driver of the Camry was a thin black man in his late teens who stands about 5’8” tall. 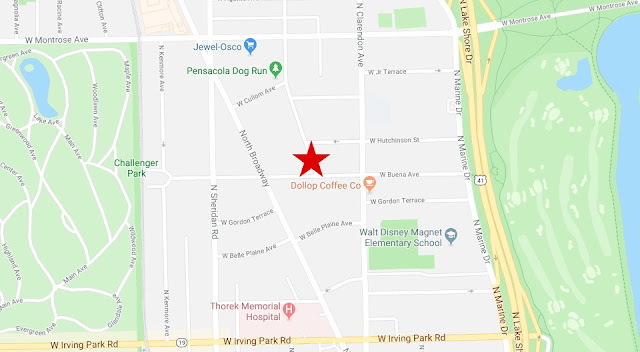 On Thursday, two men carjacked a woman of her Mercedes SUV in the 4200 block of North Kenmore, police said. Around 2:20 p.m., a 20-year-old woman was sitting in her car when a man entered the SUV from the passenger’s side and ordered the woman to get out. Another man took the woman out by force, demanded her keys, got into the car, and drove away, according to police. The woman ran from the scene.